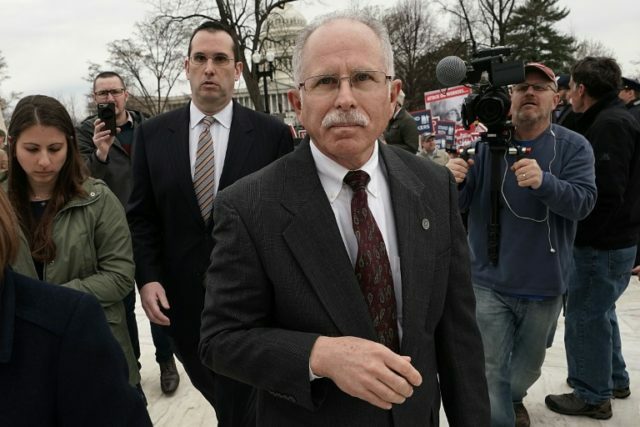 Washington (AFP) – The US Supreme Court on Wednesday ruled that non-members cannot be compelled to pay dues to public sector unions, dealing a financial blow to organized labor in the United States. The court ruled by five to four that the practice of forcing workers to pay for unions that they do not belong to, even though the unions may work on their behalf, was unconstitutional. President Donald Trump immediately welcomed the decision, a further blow to a US labor movement already in decline. The case was brought by Illinois public sector worker Mark Janus, who challenged a 1977 court ruling that public sector workers can be required to pay a portion of union dues in order to cover their expenses and stop non-members from becoming “free-riders” — reaping the benefits of collective bargaining without assuming the costs. Justice Samuel Alito, writing the majority opinion, said the 1977 ruling violated the First Amendment’s stipulations about freedom of speech. “Under Illinois law, public employees are forced to subsidize a union, even if they choose not to join and strongly object to the positions the union takes in collective bargaining and related activities,” the conservative justice wrote. The ruling came a day after the top court dealt two other wins to conservative groups, upholding the president’s controversial travel ban and coming down in favor of anti-abortion centers in another sensitive case.